Placing your business in front of local customers looking to buy your product or service is the goal of every business. Local SEO is how you can achieve this goal. The next ten minutes spent reading this post will inform you on what Local SEO is, the top reasons you need it and educate you on simple strategies you can implement today that will show results. Local SEO (search engine optimization) is the process of optimizing your website to show up locally (depending on where the search is made) for targeted keywords or phrases on search engines. 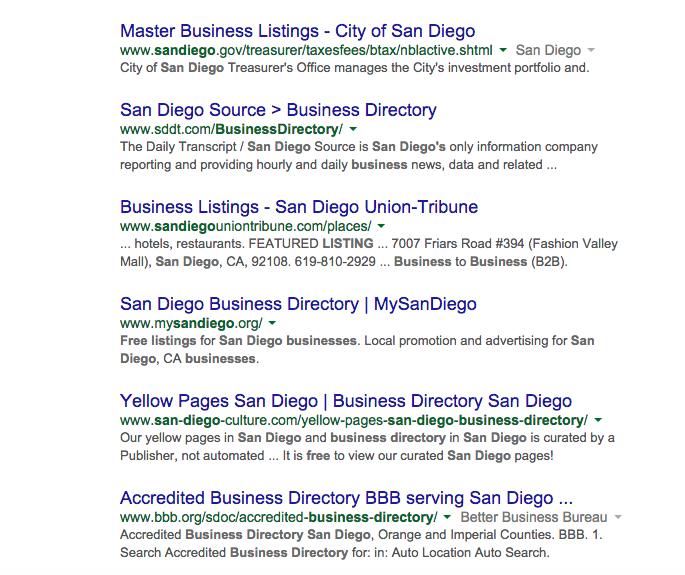 If you use Google, you are likely familiar with the image below, which shows local search results. The letters next to the businesses name are also points on Google’s map; other search engines have a similar service. 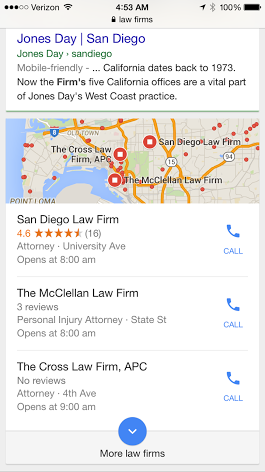 If you wish to view for yourself, simply Google “Local Law Firms” and you will see a map for yourself listing law firms in your area. As a business owner I am sure that you can already see the benefits of being at the top of the local list. After researching we compiled a list of the top reasons you need local SEO covered in detail below. Chances are you have a smartphone, even if you do not, your customers do. People are utilizing search engines more and more from their phones. These searches are based on the current GPS location of the mobile device, in turn; delivering search results from the local surrounding area. You can see from the picture below how local SEO plays a factor on a mobile device. Potential customers have the ability to immediately call a business that appears at the top of the local search results. We are certain that you want your business to be in that position, making mobile traffic one of the top reasons to focus on local SEO. On a side note, Google and other search engines factor whether or not your website is mobile-friendly (responsive) when determining local search engine rankings. Visit our post on responsive web design. The online search trend will continue to grow; phone books are not making a comeback. Bright Local also states in the same article that only 10% of businesses have claimed their local listing on Google. 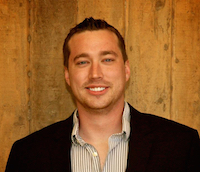 You have the opportunity to become one of the early adopters of local SEO. Take advantage of it while you can. People believe that the results Google and other search engines provide are credible businesses. Having your business at the top of this list (not as a paid advertisement) showcases you as what search engines consider to be the best. You can take this appearance to the next level by having a modern, professional and clean user-friendly website. Trust online is an extremely valuable asset, combining local SEO with a premier website places your business leaps and bounds past your competition. As stated previously only 10% of businesses have claimed their free Google local listing. Like the Google local listing, many other local SEO strategies can be completed for free, costing only a time commitment, which we will be covering shortly. 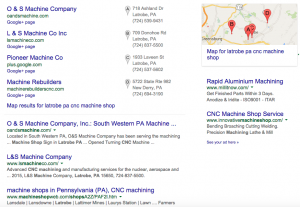 You should be realizing local SEO is something your business needs to be focusing on. We provided a video below that covers even more reasons to get started. We are going to transition this post into gaining an understanding of the factors that play a role on local SEO and the steps you can take now for free that will begin improving your local search position. Having knowledge of the factors that count toward local SEO will help in making sense of the upcoming do-it-yourself strategies. Moz, one of the most reputable sources for SEO information, determined these ranking factors; clicking provides the full top 50 list. Many of the items on the list may seem confusing, we would be more than happy to clear up any questions, by clicking here. Our strategies are going to focus on the two aspects that require no technical skill: NAPw (name, address, phone and website) and social media. The strategies below are completely free, no gimmicks or hidden charges, however, some of the steps will lead to calls asking you to pay for ‘premium services’. Out of all of the clients we helped, we were able to achieve the top spot on local searches without having to pay. Our suggestion is to decline the offer. For this strategy you want to submit your business to as many applicable free directories that you can find. Applicable is the keyword, and we will address how to find these directories and how to properly submit your business to them. These can all be found by searching “(listing directory) free business listing.” These will take some time, but the investment will be worth it. You can also click here for a list of 32 directories or here for a list of 100. The next step will be to find directories that are specific to your area. The easiest way to do this is simply search “(your city name) free business listing.” The image below is a sample of what you will see. Finding local free listings can take time and patience, but the work is worth it if you want to eventually reach the top spot for local SEO. Some directories you find may not be free to join anymore. If you run into one of these directories simply exit the page and continue searching for free opportunities. Do you see the problem? The phone number is appearing different, as well as the website address. You need to ensure that even the spacing remains the same from directory to directory. This is crucial, or all of your work placing listings will go to waste. Even if you are not planning to be active on social media, you should have accounts set up and thoroughly filled out for the major platforms – Facebook, Twitter, LinkedIn and Google+. Creating these profiles alone provide the opportunity for placing your listing information on another source, boosting your local SEO visibility. We do suggest becoming active on these accounts. More fans and activity on social media provide signals, which reflect on local SEO. You can find more information regarding getting started in social media from our previous post. Understanding that you can control your position on search engines is an opportunity you must capitalize on. If you begin investing the time towards the above strategies you are going to see an improvement in your search result position. The above information is a starting point. We are more than happy to answer any local SEO questions you may have. KriXis Consulting offers a full range of services, capable of meeting all digital marketing needs. Thank you for taking the time to read our post, we encourage you to comment below and share this post with friends and co-workers.